After 44 years, more than 1,000 issues and 10 awards, The Sheridan Sun’s print publication has met its final deadline. The weekly publication, which has not missed a scheduled issue since 1971 when it was first published, was produced during the school year by students in Sheridan’s Print Journalism program. September marked the emergence of a new program merging the Print and Broadcast Journalism. Because of the curriculum needed to fit into the merged program, there is not enough time for students to produce a print publication. “We don’t have enough hours in student time tables, naturally, to devote to print as we do in a print-only program,” said Kathy Muldoon, coordinator of the Print Journalism program and lead professor for The Sheridan Sun. About her time at the paper, Muldoon has good things to say. “It’s been really rewarding, and I guess thrilling, to create as much of a real-world experience as we can within the confines of these walls,” she said. Cheryl Vallender, Journalism professor and incoming program coordinator, has worked on the Sheridan Sun online for five years. Vallender says the focus on the online aspect of The Sheridan Sun will be beneficial to students when they’re looking for a job. This sentiment is shared by Nathan Mallet, former Print Journalism program coordinator and managing editor. He says that the change to digital, in general, is going to be good for the industry. “Digital offers so much more flexibility for reporters. We’re not locked in by the print production schedule, not locked in by having to make everything fit on the page,” he said. Asked if he thinks newspapers will ever make a comeback, Mallett is doubtful. Although there are many positive aspects to the switch to a purely digital platform, there is also a sad side. There are moments that students will not get to experience without a print publication. 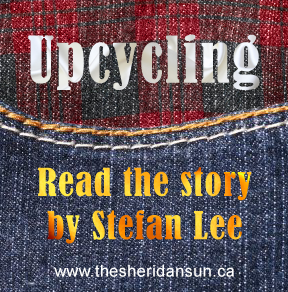 Although the print publication will no longer be available, The Sheridan Sun will still be available online at thesheridansun.ca. Added by jasmineanthony on December 16, 2015.